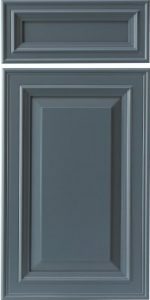 Conestoga’s CRP-1420 model is a highly decorative miter door, with heavy detailing and lots of nooks and crannies to gather glaze. This combination of features make it an ideal choice for glazed finishes. 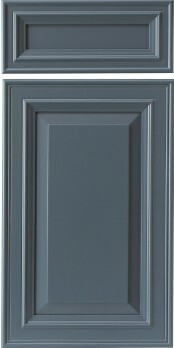 To make this door more appealing for painted finishes, Conestoga (CWS) created the CRP-1420 (MDF), which is an aesthetically identical five-piece miter door that uses full MDF (Medium Density Fiberboard) construction. Please note this door is NOT AVAILABLE FOR INSET CABINETS.